Teachers and staff members at SRTC and SHS have been working hard over the past 7 days packing up their classrooms and moving into the new school. Classes will resume for high school, technical school and Pre-K students on Wednesday, October 10th at the new school. The opening was delayed one additional day to provide adequate time for staff to set up classrooms, offices, and cafeteria/kitchen. Staff will be reviewing fire exit and safety procedures, and establishing and tweaking various procedures around the operation of the new school. Bus schedules have been modified due to the location of the new school. The new routes and schedules will begin tomorrow, Tuesday, October 9th to allow time for the bus drivers to practice the new routes. See article below about new bus schedules. A map outlining student parking and drop off locations is available at this link. Students, parents and community members are reminded that the speed limit on Alumni Blvd. is 15 MPH. Thank you to SHS and SRTC Staff Members for all your extra efforts to make this move possible. There were countless hours spent by staff members moving boxes and equipment, setting up classrooms and making sure we were all prepared for out students on Wednesday. 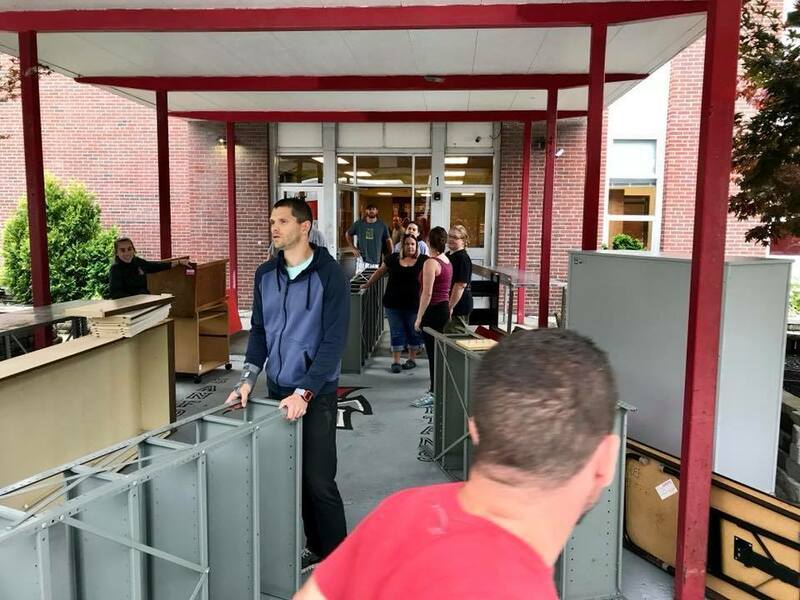 Even though we did receive some funding from the state to move the heavy equipment from SRTC and boxes of books from SHS, there was still a huge amount of much of equipment and furniture from SHS that was moved by a group of dedicated staff members.